The state agency that is supposed to assure that pollution does not endanger the citizens of Texas is the Texas Commission on Environmental Quality (TCEQ). But they have not been doing an adequate job of protecting Texans for many years now. Instead of protecting the air quality (and water quality), these Republican appointees seem instead to exist solely to allow the giant oil, gas, and chemical industries to operate without having to obey federal and state pollution laws. Just look at how they covered up the existence of dangerous toxic substances released from recent gas drilling in the Fort Worth and surrounding areas. Because of charges by environmental groups, the TCEQ recently conducted tests of the air quality in Fort Worth. In January of this year, they gave the city a report showing the air quality in that area was completely safe. The problem was that report was wrong, and the TCEQ knew that very soon after releasing the report. After releasing the report, the TCEQ realized that the measuring equipment they used was not nearly sensitive enough to detect low levels of poisons generated by the drilling. Worse yet, these low-level toxic emissions were very dangerous if persons were exposed to them over an extended period of time. So while the Forth Worth air quality was probably safe for short-term visitors, the citizens living there were slowly being poisoned by the toxic emissions. Now one might think that this important fact would immediately be made known to the people of the Fort Worth area by the TCEQ, since they are mandated to protect the air quality for citizen safety. Wrong! The city was not told for several months, and then only because a congressman had asked for the information (and even an agency dedicated to protecting corporate interests can get in serious trouble for lying to a congressman). The fact is that the state Republican leadership (including those on the TCEQ) were long ago bought and paid for by corporate interests, especially the oil, gas, and chemical industries. The TCEQ knew that a ton of money was being made by gas drilling in the Fort Worth area. They also knew that publicizing the dangers imposed by that drilling could could impede that drilling and hurt the corporate profits. The TCEQ chose to endanger citizens and protect corporate profits. But that is only a small part of the criminal actions of the TCEQ. The fact is that their negligence has allowed Texas to become, and continue to be, a major polluter. Texas is by far the largest air polluter in the United States -- producing far more pollution than other large states like California, New York, Florida, New Jersey, Ohio, and Illinois. In fact if Texas were a country, it would be the seventh largest air polluter in the entire world. And the TCEQ doesn't seem to be interested in controlling this pollution. They claim that stricter pollution controls would endanger thousands of Texas jobs. Obviously, they seem to be ignorant of the fact that their mandate is to control pollution -- not create or protect jobs. The truth is that while stopping corporate pollution might slightly reduce the corporation's massive profits, it would not cost any jobs. The corporations will continue to produce their products and will still need the workers to produce those products, and moving to another state will not reduce the need to obey pollution laws. The clean-up effort will probably actually create new jobs. 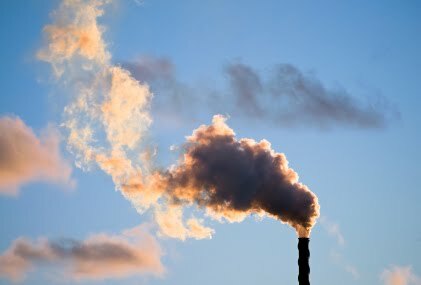 The Environmental Protection Agency (EPA) is finally getting tired of Texas' refusal to come into compliance with the standards of the Clean Air Act, as other states have done. The regional Director of the EPA, Al Armendariz, is now threatening that the EPA may take over the duties of the TCEQ and force Texas to comply with federal environmental law. The impetus for this threatened action is the practice by the TCEQ of giving corporations flexible permits instead of permits with hard rules on how much pollution they can produce, as other states do. According to the EPA, the flexible permits issued by Texas allow corporations to produce double the amount of pollution allowed by the Clean Air Act. The EPA is under a court order to make a decision about the flexible permits by June 30th, and it is expected they will outlaw them. Then if the TCEQ doesn't cooperate, the EPA will take over the duties of the TCEQ. The EPA is already hiring extra workers to do that job. Of course this has thrown Texas Governor Rick Perry into a tizzy. He is claiming this is a states' rights issue. He sees nothing wrong with Texas polluting the atmosphere of the state, the other states, and indeed the world, as long as massive corporate profits are maintained. With hat in hand, Perry is now begging President Obama to stop the EPA from making Texas comply with federal law like every other state. Personally, I think it is about time that the EPA takes over insuring pollution standards in Texas. It has become more than obvious that the state Republican leadership and the TCEQ will not rein in the corporate misbehavior. Someone must do this, and since the TCEQ won't then the EPA must. Texas simply does not have the right to endanger the people of Texas, of the United States, and of the rest of the world.